– Professional and reliable distribution service with delivery of items by catalogue in a week. – After sale support with no minimum order requirements for topping up of previously bought kits. 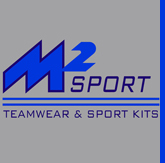 – Free customised brochure and price proposal for kits and leisurewear in your club colours. – Embroidery and screen printing customization of kits, leisurewear and bags. – Availability to meet customers where and when it suits better to show the full range of samples. – Sourcing of products from several brands to guarantee the best price available to satisfy any type of budget.